One of my favourite accessory is the one which I use to store my essentials. Be it a lipstick, wet tissues or my phone, it goes in my purse so that I can just take it out when I require it. Let me tell you about the kind of purses I am hooked to these days. Actually, it mostly depends on my mood, occasion and the outfit that I am wearing. Jivaana has been my stop for buying those trendy creations recently. For the uninitiated, Jivaana is an online store started with the aim of promoting Ethnic and Festive Fashion across India and the world. Well priced and funky, they have curated over 5000 designs to cater to all pockets, tastes and occasions. I generally like to mix and match my styling and keep different variations according to the occasion I am headed too. Ethnic handbags let you retain the Indian-ness even if you are in a western ensemble. Being an Indian, I am in love with the cultural touch each region focuses on. While Jaipur is famous for the royal touch, Hyderabad is famous for its pearls while Mizoram is famous for its handloom. 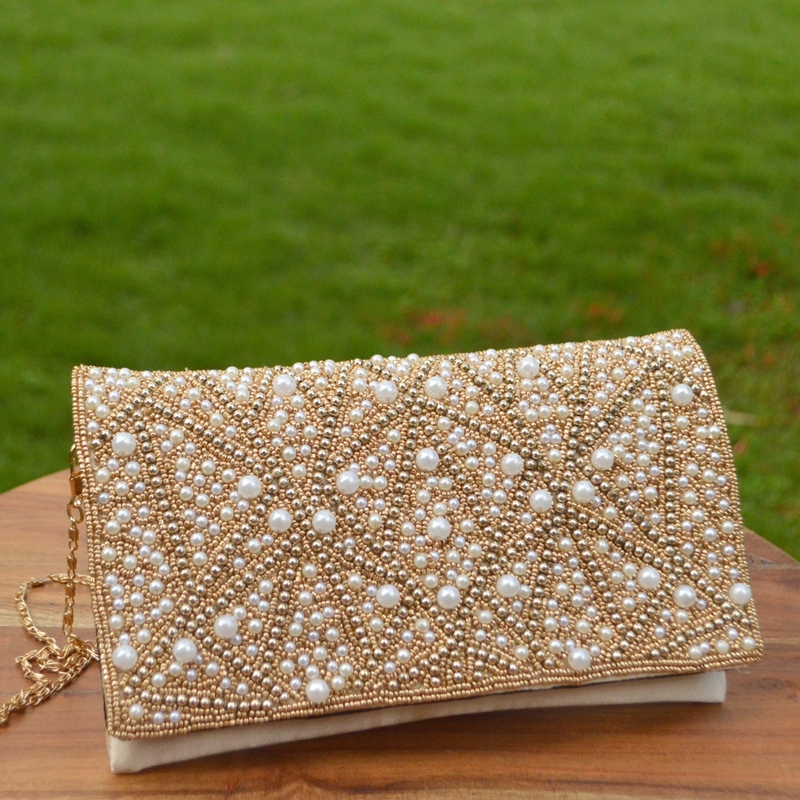 The Gold Constellation Clutch made of satin and embellished with beadwork & embroidery work is my latest pick in this category. The subtle colour of the elegant looking bag is what makes it a charmer! 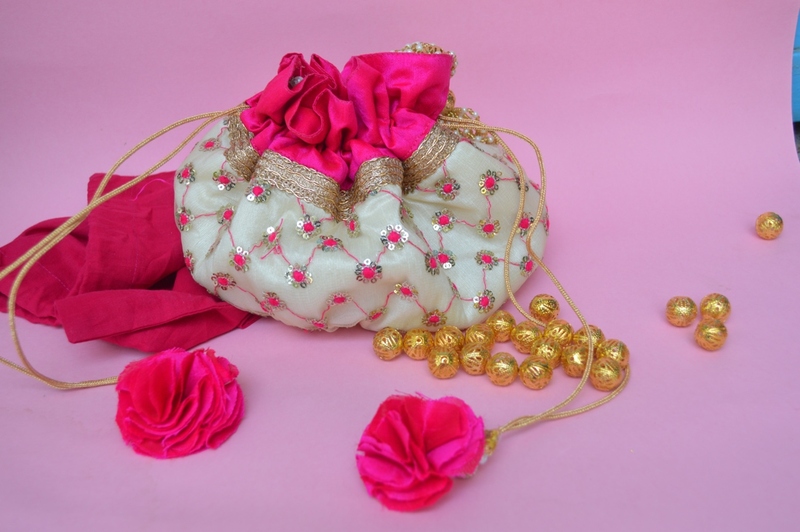 Potli bags have been in existence for years and I have seen beautiful pieces passed from generation to generation. This fashion accessory adds the charm with kind of pretty colours, prints & styles they come in. Any woman can just fall in love with them and they make for such a perfect accessory with a saree or a suit. Whether bright colours are your pick or pastels, the cute Potli bag is a winner across all! I have seen these bags in satin, velvet or silk too. One can never go wrong with clutches. Defined as a slim, flat handbag without handles or a strap, a clutch comes in different forms- from the box clutch to the delicate ones. Gone are the days when the normal clutches impressed us! Now, it’s all about the pieces of art which make our fashion game strong! This pretty clutch with floral embroidery is a winner with any ensemble! However, if you are those cool kinds and want to always give a different appeal, they have a wide range of options on the website as well! 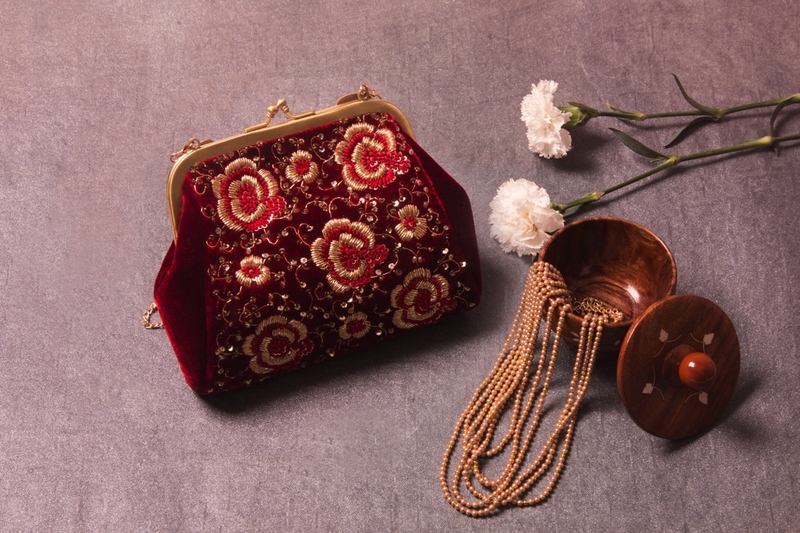 You can not only buy clutches online but can also buy ethnic handbags and potli bags! So what are you waiting for? Just pick up your mobile or switch on your laptop to log on to Jivaana. With a user-friendly interface, flexible payment options including cash on delivery and free shipping, the bags will surely add the charm to your overall look!